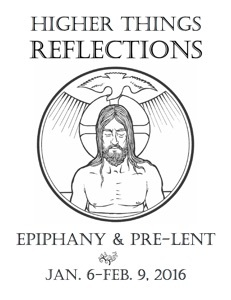 Higher Things is pleased to announce the 2016 Epiphany and Pre-Lent Reflections. This batch covers from January 6 through February 9, 2016. (Please NOTE: This batch starts in the middle of the week, on Epiphany; churches wishing to print should have them available to hand out before that.) You can download the Reflections as a printable booklet here and in a variety of other formats at higherthings.org/reflections.